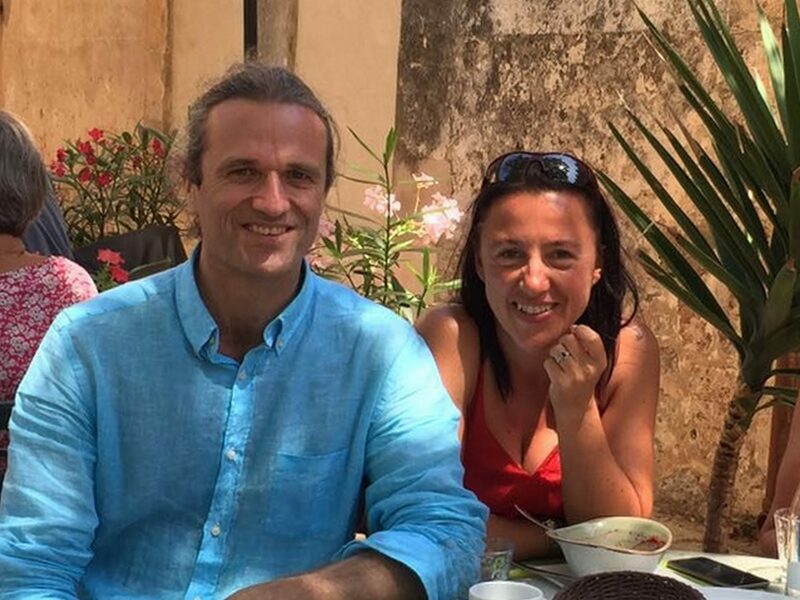 This interview with Nina and Jan, founders of the “Art of loving” workshop series and writers of this blog, has been conducted by Stéphanie: She is the author of the wonderful blog C’est parti mon kiki!. The original version of this interview is being published on her blog in French language, here you can read the English version. Thank you, Stéphanie, for your interesting questions and for giving space to the vast topic of love! Please find the “Art of Loving” test at the end of this text – we invite you to take part and add your own answers! Jan: After I graduated as an engineer I started a career in wholesales business. My soul was hurting because I was dispassionate about my job, but I did not see any conventional career model in the outside world that would give any comfort to my aching soul. At the same time I had to find a solution for my extreme sensitivity in how I perceive human beings and the world. After having tried out many things I found two main and more minor solutions. The first main solution I found was learning the art of mindfulness and meditation from Tibetan monks who were living in Belgium. I spent one year living with them to get immersed in their meditation techniques and philosophy, which are totally founded on love and compassion for all sentient beings. The second main solution was my discovery of the Barbara Brennan School of Healing (BBSH) in the US, where I followed a 4 year intensive training in the Art of Healing and multidimensional awareness, as well as body oriented psychotherapy and personal development. Then I started a career as a healer and coach. Eventually I founded my own healing school in Brussels. Last June (2016) I graduated the first group of students who completed this 4-year program for personal development, integral presence and healing skills. I keep combining teaching with personal coaching since I like the direct contact with my clients, as much as I like advancing my students in their healing skills. Nina: In my original job as a journalist on foreign affairs, I have been travelling the world for 15 years, oftentimes to places, where people are facing tremendous challenges – international power games and conflicts, violence, sometimes the lack of the most basic material things we need to survive. It has been very difficult for me to witness this from nearby, and at the same time it was also a very precious learning: Wherever I went I was blessed to meet people who, against all odds, in the most difficult situations, in the midst of despair and hopelessness, where choosing love. They supported each other practically, emotionally, and spiritually, they shared the best they had inside, even if they had lost everything in the outer world. They stayed connected to their inner strengths and faith, and I could witness how in the worst darkness people kept shining their light. This touched me a lot. After a while, writing was not nourishing my soul enough. I felt a wish to contribute to change and healing. I started to do trainings in counseling, the healing arts – also at the Barbara Brennan School, studied body mind work, integrative health care and psychology. Now I support people in connecting to this inner strengths and to the soft, warm healing waters of their heart both in my international healing practice, in workshops, university programs and wherever I meet them in the world. Nina: I am holding a vision of the world being a place where we relate to each other peacefully, in a loving and nurturing way. If we dream to make the world a better place, we all need to become this better place – by learning to live and relate to others from our deeper loving self. Supporting this process is one of the major motivations for my healing work. It’s a source of daily joy and pleasure for me. The distorted behaviors and belief systems, which we see so clearly in international conflicts, are ultimately the same we carry and act out on a personal level. I believe that every individual, who learns to go beyond that and drop into their exquisitely beautiful deeper self, does so for themselves, for their relationships and also for all of us. Jan: For me finding the healing arts went along with the discovery of who I really am. My extreme sensitivity is sometimes a challenge in a busy, noisy society, yet it comes with a faculty to reach subtleties and dimensions that most people don’t have an easy access to. I support people in deepening inner awareness to discover deeper layers in themselves. They realize more of who they really are inside, and experience their life from that authentic place. The three things that motivate me the most are 1) charis, the love and compassion for all sentient beings and humanity, 2) the excitement of discovering that each human being is different and unique, and 3) the fulfillment of relating with others on a deeper level: the level of soul, their deepest values and their core identity. Jan: First of all I would not present myself as a specialist of love. I know I am deeply motivated by love, and I have this unceasing passion to learn more about the nature of love with the aim to let it flourish as much as possible. If I present myself as a workshop facilitator, I do it from the mindset of an absolute beginner, open to let love teach all of us by new experience. This workshop is an invitation to others to join in this learning journey – that will continue a lifetime. Of course I do have extensive experience to facilitate groups in deep and sensitive processes, yet when it comes to define love, I prefer that everyone make his/her own personal discovery though direct experience. No definition, not even the most beautiful poem can do justice to the beauty and the exquisiteness of a true love experience. It is something to be uncovered, a grace to be savored. I prefer the personal and direct experience of each individual to be the definition of love. After having exposed my religious belief in the impossibility of defining love, I humorously admit that we do use the framework of “the ten stages of love” where we apply 10 Greek words that describe 10 different aspects of love. The best known of these words are: agape (unconditional love), eros (passionate attraction), philia (friendship, bond, loyalty), and storge (kindness, tenderness, sweetness). We use these words to give the mind some reference to reflect and talk about this reality that is beyond words. Nina: Yes, love is multifaceted and it wants to be felt. Sometimes it is an enlivening experience, making my body dance, sometimes it creates a deep peace in my soul. When I am having one of these days of happiness without reason, I know I am immersed in love. And this love can express itself in the relationship to a specific person or it can be a blissful experience of love for life or of love as this beautiful universal fabric of our existence. Every one of us has her/his own unique beautiful fragrance of love. The world is waiting for each and every one of it, the whole „bouquet“. So in our workshop we will hold the space for these fragrances to blossom. Jan: I believe love is the key to joy, happiness, peace and the deepest fulfillment in life. So I cannot imagine a more valuable topic to explore and to aspire to master than the Art of Loving. The goal of the workshop is to foster as much wisdom as possible on the Art of Loving in each participant, so that each participant goes home with a true empowerment in this Art. Just as love is the essential cause for our joy and well being, the absence or the mismanagement of love is cause to immense pain, suffering and trauma. So from the one hand we wish to foster happiness and well being, and simultaneously we would like to support people to discover their deeper inner intelligence. The wisdom that knows how to alleviate oneself from hurt and suffering and that knows how to love constructively. Our whole education system is axed on intellectual development and craftsmanship. Emotional intelligence, let alone, love education, is not included in the conventional pedagogy of our society. So our society leaves it up to parents, family, local community, therapists, pop artists, and church to teach, or not, about love. So we see a need for love education and we are passionate about the subject. We see the word education in this context not as a passing on of theory. One can read tons of books about the topic and still shy away in fear when a real love experience appears. With love education we mean supporting people to go through a deepening and expanding experience where they gain direct insight and emerging wisdom from inside out. Nina: We experience love most fully when we are able to embrace ourselves and our life, also when we can allow the free flow of our love with another person, a group of people or, for example, with nature. Sometimes we block this flow, do not allow it in, and don’t know how to live it in relationship or close ourselves to the world or other people. For me, this is similar to large stones in a river that deviate or prevent the water from flowing; it can become murky and loose it’s beautiful shine. So one goal of our Art-of-Loving workshop is to remove these obstacle-stones and help reestablish the free flow of love that makes us happy and radiant. Jan: The word loving has many associations and some may believe that this workshop is for couples, … or for singles looking for a partner. All these candidates are welcome, since romantic relationship is certainly a part of the 10 stages* of love, while at the same time we consider love larger than the romantic spectrum. It includes the art of friendship, parenthood, brotherhood, sisterhood, being good colleagues with one another, being a mindful citizen, … and much more. Some people have associated tantra to the word loving. We definitely appreciate and don’t shy away from the sexual and sensual components of love, and also here we invite these powerful life force currents in a larger perspective. We recommend not to suppress them. We encourage freeing them befittingly and integrating them in a larger container of the whole spectrum of love. For whom is the workshop? For everyone who sincerely wants to be empowered in the art of loving, be it as a partner, as a parent, as an employer, as a colleague, as a humanist, as a religious person, as a realist, as a romantic, as an atheist, … or much better, simply as yourself. Nina: I am convinced that committing oneself to love is a task for the brave ones. Looking at one’s life from the love perspective does not mean putting all problems into pink light. It requires an honest meeting of the self – with the intention to eventually also embrace all those parts inside, where we reject, judge and sometimes hate ourselves and others. None of us has had the chance to be loved „perfectly“ in our childhood. Sometimes, when we dive into love, young feelings of dependency, emptiness or fear can come up again, mixed with early bonding and relating patterns. All of this needs our heart wide open to contain it and gently hold it in our inner wisdom, so we can, step by step, grow beyond and melt it into our deeper love currents. Love itself is pure, though we tend to attach many things to it: expectations, hopes and images of how we need to be loved in order to be happy, or of how we want to love others. Disappointment can be part of the process – I consider it a, perhaps not easy, yet major step towards liberation from illusions and obsessions. It opens us for curiosity. The Art of Loving comprises loving what is – mastering the doubtful „no“ and opening to an unconditional yes to life. Where do we deny ourselves love and fulfillment? How much love and happiness are we able to tolerate and allow ourselves? These are questions on the path – and we will be highly rewarded for staying with them. Jan: I’m immensely grateful for the trust that a several thousand people have granted me over the last 18 years to accompany them in their life’s journey. This experience leads me to the paradoxical impression that life operates along general laws and mechanisms that apply for each human being without exception, while knowing that each person and each situation is absolutely unique. I’m thoroughly fascinated by this creative tension between the universal mechanics of life and the uniqueness of each single person. And I see as much love in the lawful mechanics of the universe as I see love in every singular person. For me love is the creative principle that governs the universe. What each single being is made of inside. I consider the human search for meaning and happiness in his/her personal life experience as a journey of accumulating the wisdom to bring the inner core being, which is love, in coherence with the lawfulness of the universe, which is also love. The more one lives this wise coherency between inner core and outer universe, the more the duality between inner and outer, me and the other, good and bad, right and wrong, success and failure, … fades and makes place for a natural flow of life in grace. To make this work practical we do have a systematic approach to support people to uncover this coherency and wisdom within themselves. In this workshop we focus on clarifying and stabilizing the relationship with oneself. All, yes all, problems in relationships find a root cause in an unclear or weak relationship with oneself. So from this perspective it does not make much sense to probe further into other relationships if this priority is not set first. Then based on the foundation on authentically and consciously relating with oneself, we explore our connectedness with the other. Then we soon discover that healthy relating with others requires skills. And these skills we animate by familiarizing the art of handling dynamic and natural boundaries. In some moments these explorations will be a fun and easy ride. However one can expect to be confronted with inner resistances and this is the good news! It is exactly in this place of confrontation where we find the highest potential of growth. Circling around in our comfort zone does not make us grow. Hitting our inner wall and then working it through adequately propels us forward in our human emancipation. We call ‘process work’ this labor of transforming obstacles into opportunities for expansion. We provide safty for this delicate and life enhancing undertaking. Nina: Well, I believe that ultimately the process of finding an answer to this question is unique to every individual’s path. From my own perspective, I would say: Take in and appreciate all the good that is here already. Find a friend to walk with you through the difficult times. And focus on bringing your love fragrance into the world – it is so much needed and will lead you on your path of fulfillment. Jan: Let joy and happiness be the compass needle that guides all decision making. Not only the big choices in life, but especially the hundreds of little choices we make every day. Feeling good is the result of a chain of numerous positive little choices, minute after minute, hour after hour, day after day. Every present moment experience offers the possibility of choice. When every choice is guided by the compass needle of joy, how can we not feel good? Often people react to this advice as it being too superficial or ridiculously simple, and then come up with reasons why this is so. But those who truly investigate those reasons through sincere personal process work often come to the discovery that the above suggestion is not a superficial advice. This proposition brings us in touch with the most basic organizing principle of all life on earth: the Life Force. Freeing Life Force is pure joy. Nothing is more profound. L like…. letting go, letting God. Please enjoy your own “Art of Loving” test in the comment box here below. Oh, how beautiful, Fabienne, I feel deeply touched by your words, by your wisdom poem!